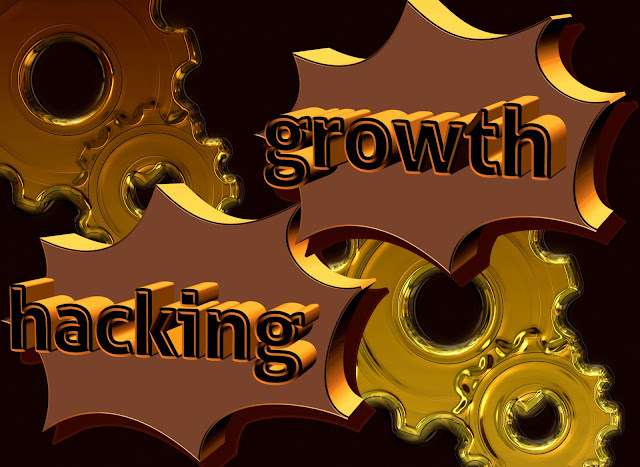 ‘Growth Hacking’ is an expansion method of marketing, in that the focus is primarily on growing a business or online platform to reap the best possible returns with the lowest possible cost involved. Of course, the more money one spends on effective marketing the higher the yield, but for the independent business owner, in this case the author, excellent results can be achieved on a comparison with more traditional marketing routes and techniques. A growth hacker typically analyses results and employs techniques that provide the greatest return on investment (ROI). They will also measure the performance of tried marketing methods in order to determine the most effective means by which to both sell and brand/market products. 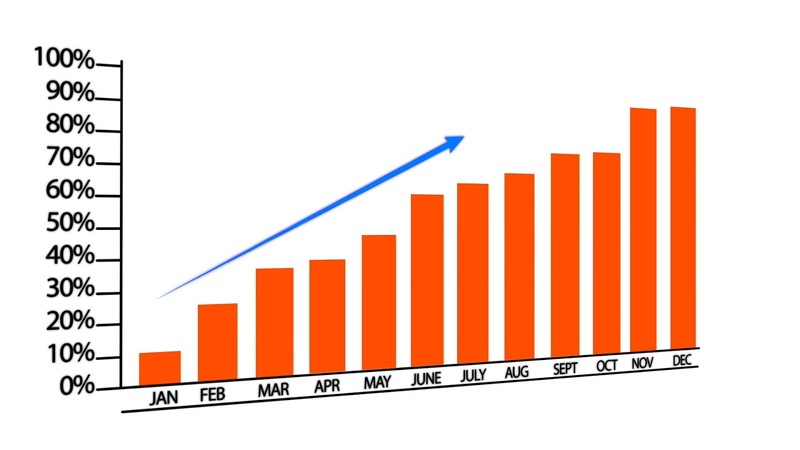 With Growth Hacking it is all about the way forward. Through trial and error, a good Growth Hacker will push a product or service to reach its maximum market-place potential. So, how can an author use Growth Hacking techniques to increase their online presence and book sales? First you need to determine what you want to achieve with your efforts. As an author you need to realize that promotion and branding is a necessary part of the business (and yes, it is a ‘business’). Don’t kid yourself that all you need to do is write the books and your readers will find you. Even traditionally published authors (i.e. not self-published or independently published) need to ‘brand’ themselves in the marketing and presentation of their works to the world. With exception, most authors need to present themselves to the world in order to find their audience. Of course, there are always exceptions to the rule but these cases are anomalies and definitely not the norm for new and lower-mid list authors. The fundamental launch-pad for an author is their ‘author platform.’ Obviously, only an idiot would go to market before they have a product (book) to sell so this article will assume that you, the author, has a book or books that have been created to the best of your ability and now you want to shift some units! If you want to increase your presence and your sales, you need a platform to help you expand your market reach. 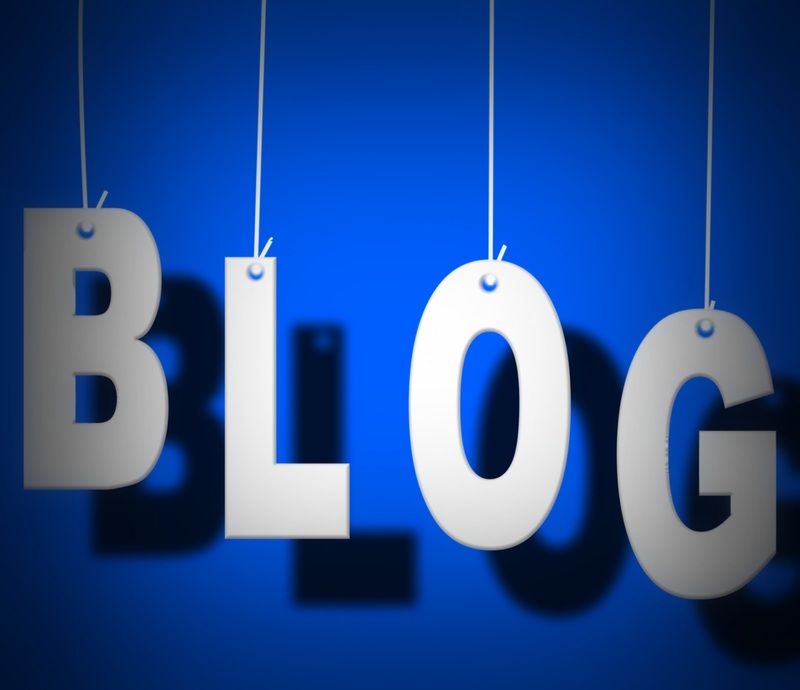 As a writer, Blogging is an integral part of any author platform. Personally speaking, something that started out as a hobby nearly ten years ago, has now grown into an essential marketing and communication tool. It is the means by which I communicate with my audience. New releases, book launches, promotions, sales, connecting with readers etc., should all be done via your main website and/or blog. Why? Why not just use social media to chat with readers and share things about your books? The answer is simple yet complex – social media is fine for touching base and sharing promotions and so forth but to actually engage your audience and move your sales forward you need to employ metrics of some sort. How do you judge via Facebook or Twitter (or any of the other social media platforms) how many people purchased your book? How do you find out how many people are actually connected because they are readers or fans of your work? Perhaps Facebook has the most tools for measuring page visits and advertising ROI, yet it doesn’t have the direct simplicity and ownership that your own website analytics possess (at this stage anyway). Managing an email list from your own website via one of the main email services like MailChimp or Aweber gives you much more control and flexibility, without the associated costs of having to pay a social media platform like FB to gather results and measure your campaigns. One of the most prevailing pieces of advice, in regards to what is absolutely essential for authors and anyone who is trying to sell something to the largest possible audience, is to build an email subscriber list. Subscribers are where you will find your most loyal fans - they have already indicated by subscribing that they are willing to receive promotional material. If you haven’t got a subscription method on your blog/website, get one NOW. All of the SSPAs (Successful Self-Published Authors) use mailing lists to promote their work and increase their sales and it is an essential way of staying in touch with your readers. With the release of my first novel, BloodRelated (written under pseudonym, William Cook), I began blogging seriously. 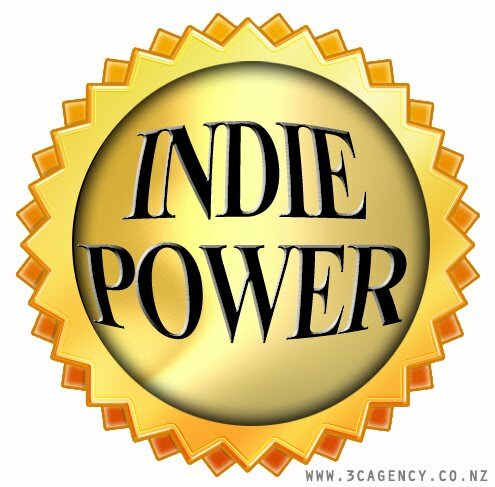 It is as critical for indie authors to market their own books as it is for mainstream authors also. Most publishers offer limited marketing, especially social-media advertising and promotion, so authors need to learn how to market their books online or they’ll have a limited chance of success with their book sales. A blog can be networked with social media platforms very easily with automated widgets and sharing options that are built into most of the blogging platforms. I use WordPress, Blogger and Tumblr for my blogs. All are networked with each other and all are linked to my various social media (SM) platforms (Facebook, Twitter, Pinterest, Google+, etc) so that every time I post a new article on my (main) blog/s, an automated post is fired out to all my SM networks. It is very important for me, as a writer and publicist, to be online and to respond quickly to my readers’ comments and to market trends that may impact book sales and site visits. The more available I am, the more interaction I have with my readers and potential readers, and the more book sales I generate. With the help of YouTube tutorials and the various blogging platform forums, I taught myself to build my own blogs and sites. It has taken over ten years of constant refinement, honing, and experimentation to get to where I am currently, but it has been relatively straight-forward. As I have mentioned, help is readily available through most of these platforms via their forums and YouTube channels which offer easy-to-follow tutorials and trouble-shooting guides. My various blogs have different features, but all essentially have a uniformity that extends my platform reach as much as possible. I promote my websites and blogs with each other and have a couple of mirror-sites that replicate the content of particular blogs to effectively extend my reach and enhance SEO (Search Engine Optimization) via search engines etc. When choosing your web address name or URL (Uniform Resource Locator), make it as directly relevant as possible to your author name or book. For an author it is a no-brainer really. The domain name should either direct traffic via your own name or the title of the book. My author site is http://williamcookwriter.com and this website is http://www.selfpublishingsuccessfully.com – fairly self-explanatory really. I prefer a simple, slightly minimalist theme, although my main site is quite busy and houses a vast amount of information, pages and posts. I prefer widgets to plug-ins as I have found that some plug-ins interfere with my readers experience if they don’t have the same plug-ins and some can also create a portal for malware etc. Some plugins have caused sites to crash and have created compatibility issues with browsers and anti-virus/adware software. I do have specific and essential ones for social-media sharing but I try to keep them to a minimum to maximize my sites’ compatibility with viewers’ browsers and online capabilities. 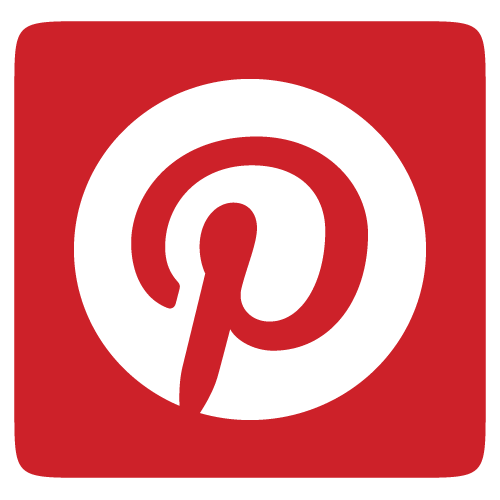 The main ones to have for a blog would be social media plugins, SEO plugins, cache plugins, related posts plugins, and ping optimizer plugins. If the right combination is used, your site visibility will be improved and also rankings via search engines. My rule of thumb is, if it’s not going to increase visitors to my site and maximize my site’s potential, don’t use it. I use the CMSs (Content Management System) that are supplied with the various blog/website platforms I use. Most of them are fairly simple and have easy-to-use dashboards that make managing my site/blog content a breeze. I do most of the formatting for my posts/articles via Microsoft Office before uploading to the site. For downloads etc. I use Dropbox which allows links etc. My email newsletter is supplied by Mailchimp which easily integrates with most of the blogging and website platforms. All In all, fairly easy to use with regular tweaks. Like everything, the more practice and usage, the more proficient one becomes at utilizing these tools. I make an effort to blog at least one-two times per month on each blog I manage. Usually, I will try to promote others in my network as well as my own things. A small blog post followed by a larger more information-heavy post (once a month at least) seems to work well and gives my subscribers/audience time to read each post without feeling like they are being ‘spammed.’ I do updates, edits, and comment moderation etc. most days, however, and probably average between 5-10 hours a week on maintaining my blogs and various sites. Recently, I have done a series of interviews called Secrets of Best-Selling Self-Published Authors (check out the link at the bottom of this article to get a copy of the eBook for a special discounted price of $0.99), which has proved incredibly popular and has resulted in a big surge of site visits. I recently turned this series of interviews into a book of the same name and it has done incredibly well. 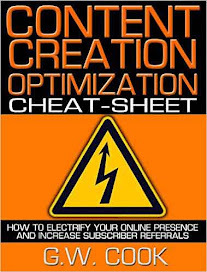 Re-purposing content from your blog, especially high value content that has proved popular with your blog/website audience will translate nicely to a successful eBook if you do it properly. Remember, with your blog/site, the content and the promotion should all feed into one another, i.e. if you haven’t got good content, it doesn’t matter how much you promote the blog, you will not get the same amount of new subscribers and repeat visitors. Quality content = more subscribers/visitors. Make it fresh, stay on trend, and remember to write well and use quality visuals to compliment your posts. Think ahead, test and gear your posts towards re-purposing later on as downloads or eBooks. If you have something to say and good things to share, blogging is the perfect platform to make your online presence felt. Most agents and publishers require their authors to have a visible online presence and blogging is one of the key ways to drive readers/customers to your website and books. As I suggested above: make it fresh, stay on trend, and remember to write well and use quality visuals to compliment your posts. Above all, have fun and interact with your blogging community/network as it grows. There are thousands of blogs and bloggers out there who love to connect with readers and other bloggers. Develop a network, interact, post quality content that other people will be interested in reading and before long you’ll have steady traffic if you make regular posts. The possibilities are endless and the advantages in promoting your work and developing content are obvious enough. Optimize the software you use online. Make sure that when you create a new post on your blog/website that it is optimized with the most effective social media software communicators. Integrate your social media platforms so that each time you post an automatic notification is blasted across your social media networks. Online software and apps like HootSuite will ensure that you get maximum exposure using this method. 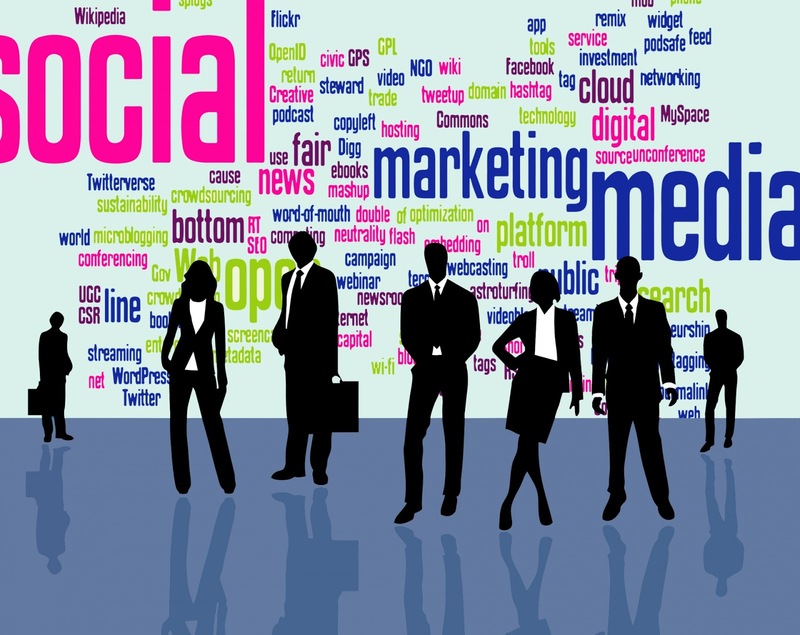 Social media is a crucial and essential means of promotion for the self-published author. It is low-cost but does require considerable commitment, time and knowledge/understanding of what works and what doesn’t. Lately, personally speaking, LinkedIn is proving quite an effective way of promoting my blogs, as is Google+, Facebook (of course), Twitter and Pinterest. Quite often I’ll have a giveaway promotion in the form of a free book that I will market across all my social media networks. Most of these promotions involve a few hours preparation and a couple of hours marketing online (i.e. creating blog posts, email newsletters, Facebook/Twitter posts, guest blog posts, press releases etc.). The promotion consists of polished well-edited material with simple, easy-to-read content with a direct ‘call-to-action,’ usually accompanied by a visually appealing graphic to compliment the text. There are many options with advertising and targeted marketing through all of the social media sites – especially if you have plenty of money to spend. 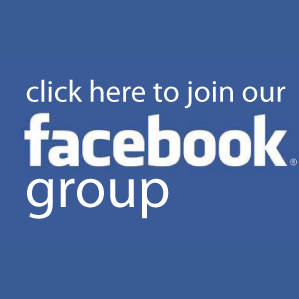 UK self-published author, MarkDawson, has been recently featured in Forbes magazine recounting how he spends upwards of $350 a day on Facebook advertising! While not all of us have this kind of budget to spend on marketing our books, Dawson’s example shows what can be achieved if you are prepared to back your product and play the game – he earns a high six-figure income (approx. $450,000 via Amazon according to the April 2015 Forbes article), so if you do the math: $350 X 365 (days in the year) = $127,750 advertising costs, a $322,250 profit doesn’t seem too shabby. Obviously, he will have organic sales that are produced by other means, e.g. Amazon rankings/profile, Kindle promotions, word-of-mouth, website sales funnels and other marketing avenues, that all contribute to his total revenue but my point is, one has to spend money in the publishing world, to make money. 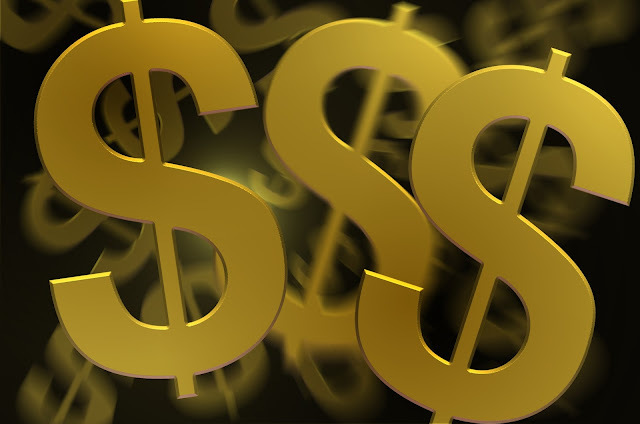 You can still make a small income without spending $350 a day, but if your work is of a high standard and matches what the big boys and girls in the self-publishing world are producing, there is no reason why you can’t achieve the same results if you play the game properly and be prepared to spend money in all the right places. Aside from the sale of your products (books, training programs, etc. ), it is possible to monetize your website, but it depends on what you’re selling (i.e. if you have a product) and/or if your content and site-visit numbers support offering advertising or affiliate sales. Because I have a number of books for sale at any given moment, I recently signed up to the Amazon Associates affiliate program (on my personal author website) which basically earns me a small slice of revenue each time someone clicks through on the supplied link and buys a product from the Amazon website. I have turned down offers to advertise other people’s/company’s products on my sites for two reasons, one – their product/s did not compliment my own and, two – I don’t want the followers of my blog to have to put up with scrolling through advertisements. However, subscription ads are essential to establish a subscriber base and an email mailing list and while they are similar in terms of their display and 'call-to-action' messages (i.e. similar to product/service advertisements), I feel that most online users are savvy enough to distinguish the two types of promotions or call-to-action/s. In other words, having minimal forms of advertising on your site allows the occasional (usually initial) intrusion of a subscription ad, without annoying your viewers as much. Aside from repelling potential subscribers, I personally think it makes a website look tacky if it's over-done, especially if all you see are automated ads for dating sites etc. Nothing worse than reading an article and having it interrupted with pop-up ads and off-target promotions for Viagra or Russian Brides etc. But that’s just my opinion, I make money from my blog, but indirectly through the sale of the books that I promote within the various articles/posts and in static sidebar adverts that are clearly listed and don’t interfere with the reading of the articles/content. Perhaps I will look at advertising options later on if necessity dictates, especially via my niche-interest site (as opposed to my personal author site) and then only with static side-bar or banner ads. If service providers/advertisers approach me with specialty ads/promotions, that match up with my blog/site subscribers' needs and interests, and only if it is beneficial to my subscribers, would the right type of advert would be considered. Many blogs I visit have advertising and it’s not long before it gets tiring and downright offensive if you have to navigate between posts with ads for dubious dating sites and ‘Buy! Buy! Buy!’ in-your-face pop-ups etc. At this early stage I have seen no significant return from being an affiliate with Amazon, but I know of others who have achieved good results. Once again, it comes down to testing whether or not it works for you. The good thing about this program is that it is free and is another way of establishing a passive income stream that just ticks along nicely. 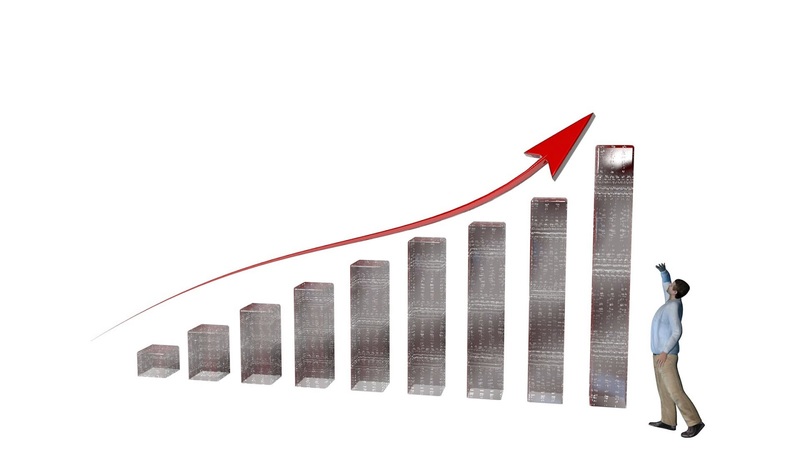 To effectively ‘growth hack’ your promotional efforts as an author, collecting data needs to be done consistently and regularly for best results. Use a spreadsheet (Excel) for each of your books. Title the spreadsheet with your book title and use separate ‘pages’ for each campaign that you run. Monitor book sales from sales data provided by the online merchants (e.g. Amazon, Kobo, B&N, etc.) – record each month’s sales and note any trends that present themselves in alignment with your campaigns. E.g. did your sales go up after using a specific promotional tool/method (e.g. BookBub promo, email campaign, special offer, free book promotion etc.). Your main goal should be in discovering what works best with your readers. What makes them want to buy your books? What price structure appeals the most (i.e. do you sell more $0.99 titles than other titles etc.)? Do your readers buy hard copies of your books, if so/not – why? The more information you gather and analyze, regarding the spending and reading habits of your audience, the easier it will be to determine your best future marketing and promotion options. One of the best ways to get this information is to ask your readers directly. Create a survey or contact fans directly via your blog and social media sites. Create a special email/newsletter and contact your subscribers directly with your questions – combine a give-away for maximum results and make sure to thank your subscribers for participating. The key to gathering this useful information is in having an established database of people who you know are already interested in your work. In finding out what makes your current audience want to read your books, you can successfully anticipate what it is that will appeal to future readers of your work. Think smart. Ask questions. Use what you have and most of all, add value to your author platform with whatever you do. Know your product (i.e. your book) AND your target market. It’s no use trying to sell your horror book to romance readers or vice versa. Don’t waste time with generic advertising and expensive promotions if you don’t know that it will work. Think of your book as a product, even if it is the most amazing literary event this side of the Gutenberg Press! Without approaching your career as a business it will only ever be a hobby. You may find the rare exception to the rule – the breakaway success story that makes most authors green with envy. You know the one, where the author releases their creation into the big wide world and instantly lands a six-figure advance and international publishing and movie rights in one hit! Do a bit of digging and in most cases you’ll find that the ‘over-night sensation’ was actually the result of ten years of hard work and countless rejections before they hit the pay-load. Maybe, these ‘success stories’ would’ve achieved far greater and earlier success if they had approached the marketing and promotion of themselves and their books from a business perspective. Align yourself with your market. Identify your top five competitors in that market place and monitor them closely. Sign up for their newsletters, analyze their book covers and titles, read their book descriptions and their promotional/marketing materials, follow their blogs and take notes on what posts receive the most engagement with their audience. Above all, listen to their advice and learn from their mistakes and successes. Don’t be afraid to tweak your business model. Have you got the best possible cover for your books? Is your book description punching above its weight – does it make you want to buy your book? Adjust your pricing structure and measure the results. Edit and hone your work to its best potential. The list goes on, but essentially if you want to succeed as an author put your best foot forward on all occasions. Offer the reading public your best work at the best price and in the best way possible. Get rid of anything that doesn’t work – on your website, in your writing, your marketing and so on. If a reader gives you a bad but fair review, don’t ignore it. If your writing can be improved, do it. If your website doesn’t seem to appeal to people (monitor feedback, ask questions), change it so that it will. If your email/newsletter campaigns don’t work or annoy your subscribers, find out why and change what you’re doing so that next time you’ll win fans not lose them. You can’t please everyone but you can make sure that you offer the best possible experience for the most amount of people. To convert subscribers into buyers and vice versa, you must be able to generate desire (in your product) and reduce barriers for them so they can easily entertain that desire (buy your book and come back for more). Identify all possible barriers to the purchasing of your book (pricing, cover, description, correct audience, ease of purchase, value added etc.) and find the sweet spot. Build that sweet spot and squeeze it for all its worth. Desire minus barriers = sweet spot. Think carefully and intelligently about where your product best fits. Know your product, market place and your intended market inside and out. Prioritize the most effective ways of promoting your product and brand. Budget your time and costs as you would any business. Test your ideas and products – analyze the results and move forward with the positive growth indicators. Track your successes and failures in order to repeat or avoid future issues. Learn from your mistakes – don’t repeat them. Identify the best methods for leveraging your business. Optimize your business model for future expansion and engagement. Make it easy for yourself and for your readers to get the best possible product you can offer – set your business model as a template and repeat your successes repeatedly for maximum growth. Growth Hackers think often and think smart, they look for proven solutions and are not afraid to take advice and to seek out people and knowledge that will propel their dreams and goals, in an ascending forward trajectory. Growth Hackers expand their knowledge base and experience at every possible opportunity - they take notes, ask questions and learn from their successes and (perhaps, more importantly) from their mistakes. They make sure they know what it is that they want to achieve and the best possible ways by which they can achieve the desired result/s. They know how to prioritize their time and business processes, usually working to meticulously detailed business/marketing plans so they can effectively measure the success (or failure) of their various ventures and projects. 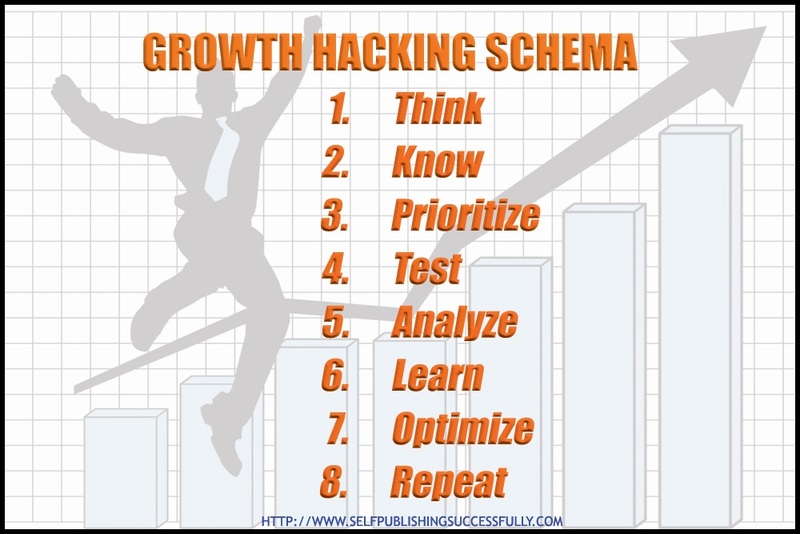 By placing priorities on ways to achieve growth, the Growth Hacker ensures that their time and money is well spent and that if a prioritized method fails, they know that they have alternative methods in place (i.e. prioritized) that meet certain criteria that will hopefully provide a way forward where the other method has failed. Growth Hackers test various methods, they test the viability of all things that will add value to their business model - they test (writing, business etc.) software, marketing platforms, social media forums, email providers, audience responses/feedback and so on. Along with testing, they analyze results and statistics in order to determine best possible practice and to forecast business and/or goal-based outcomes. To create growth through the utilization of different methods of business expansion (e.g. marketing, development, investment etc. ), it is essential that testing and analysis be employed so that results and best-practice knowledge can be gathered. Above all, an effective Growth Hacker will strive to learn all they can about their industry. Growth Hacker (self-published) authors learn all the processes involved in producing and publishing good quality books. They learn who all the players are in the market place - the publishers, competing authors (yes, whether we want to think about it or not, considering the competition is a huge and potentially helpful part of a self-published author's battle for rankings and sales), reviewers, book-sellers, influencers etc. Learning leads to knowledge and knowledge feeds back into effective well-informed uses of expansion/growth methods. The learning, testing, analyzing, prioritizing, knowing and thinking, all add up to optimize the smart Growth Hacker's chances of standing out in a highly competitive and saturated market place. Optimization is the key to effective growth hacking - it is what drives businesses forward, what streamlines processes and action in the best possible way in order to achieve success. The successful self-published author has optimized the way they write, what they write, who they write for, how they market/promote their books and where and how they sell their books (price-points, bookseller platforms, book descriptions, keywords etc.). They determine what works best and why it works best. They use their experience (the really smart ones use the experience of others) and knowledge to push forward and to achieve desired goals - using the best possible methods and practices to achieve the best possible outcome by the most efficient use of time and finances. Growth Hackers see/know what works and will employ tried-and-true methods repeatedly until those methods no longer work effectively. 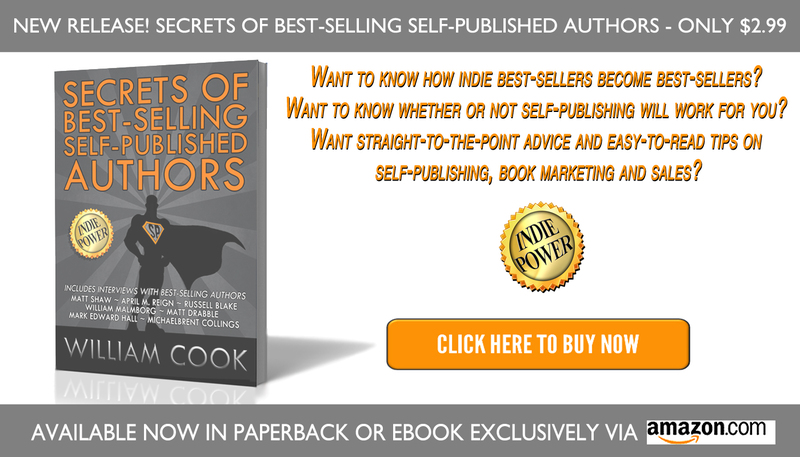 Want to know how indie best-sellers become best-sellers? 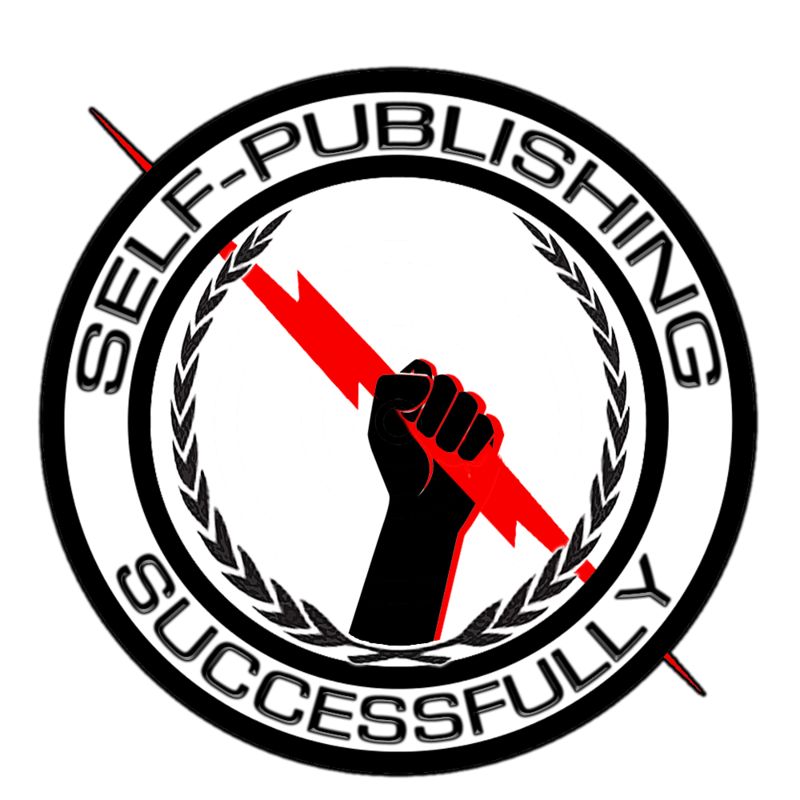 Want to know whether or not self-publishing will work for you? Want straight-to-the-point advice and easy-to-read tips on self-publishing, book marketing and sales? 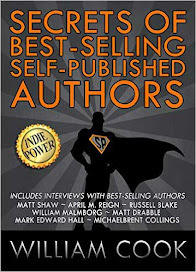 Grab your copy of Secrets of Best-Selling Self-Published Authors, now – for a special discounted price of $0.99 (limited time offer).